The Margaret and Bill Winspear Opera House, an unparalled setting, reinvents the conventional Opera House form. With two performance chambers and an expansive lobby for special events, this versatile venue offers an array of extraordinary Family Experiences. 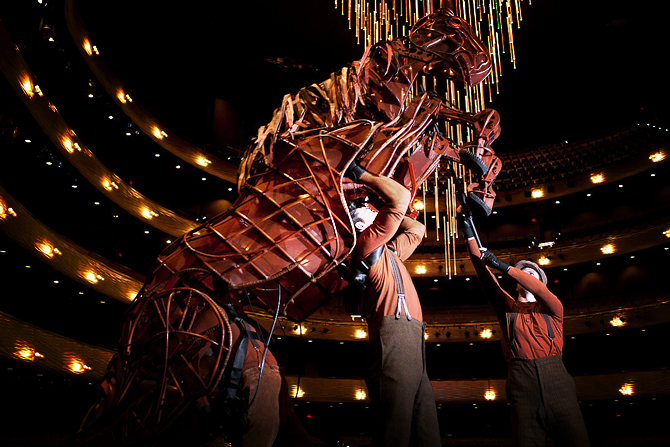 Designed as a 21st century reinterpretation of the traditional opera house, the Winspear seats 2,200 (with a capacity of 2,300) in a traditional horseshoe configuration. The facility is the home of The Dallas Opera (which up until the 2008/2009 season performed at the Music Hall at Fair Park) and the Texas Ballet Theater. The AT&T Performing Arts Center also produces original programming and partners with local and national organizations to present a wide range of other cultural performances at the venue. These offerings include music, dance, Broadway shows, concerts and lectures. 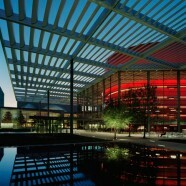 The Winspear Opera House includes the Nancy Hamon Education and Recital Hall, a space that can be used for smaller performances seating audiences up to 200, as well as classes, rehearsals, meetings and events. The Annette and Harold Simmons Signature Glass Façade wraps around the building, creating a transparency between the opera house and the surrounding Performance Park. An 84-foot (26 m) wide section of the glass façade is retractable to a height of 23 feet (7.0 m), literally opening up the Grand Lobby, Cafe and Box Circle-level Restaurant to Performance Park. The Grand Portico, radiating from the opera house on all sides, provides shade over 3 acres (12,000 m2) of the Performance Park. The solar canopy’s louvers are arranged at fixed angles following the path of the sun. 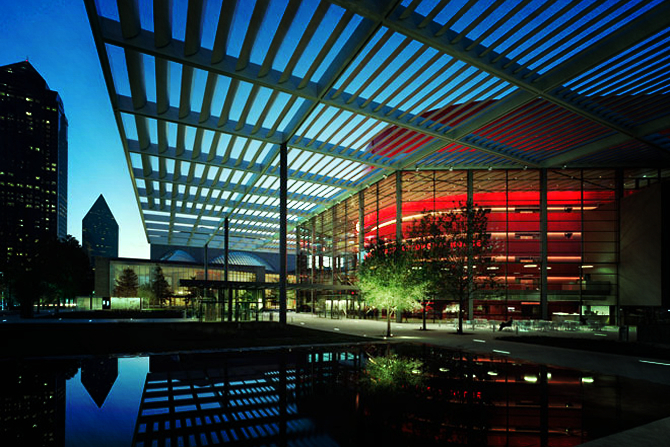 By eliminating most direct sunlight on the façade and by creating a cooler microclimate around the building, the canopy significantly reduce the energy requirements of the Winspear Opera House. In May 2009 artist Guillermo Kuitca was commissioned to design the stage curtain. 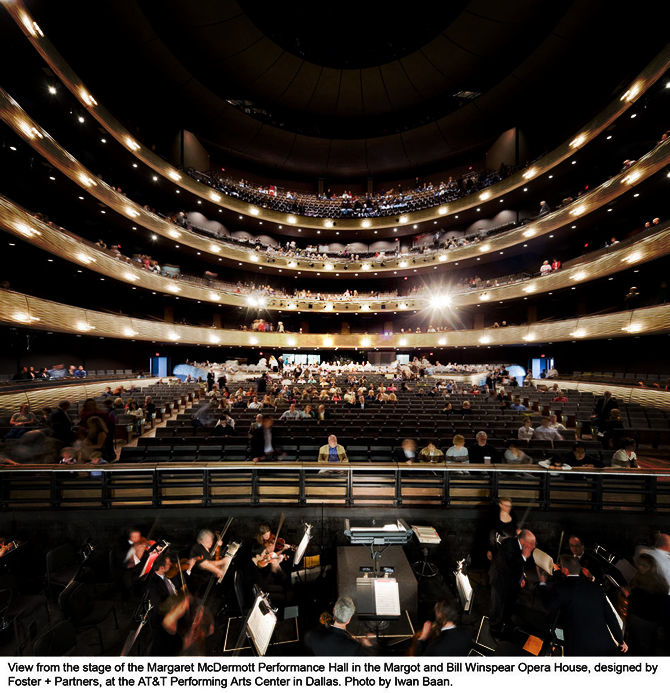 The design abstracts the seating plan for the Winspear’s Margaret McDermott Performance Hall and reproduces this image onto the curtain itself. A key design feature is the 318-rod chandelier located inside the performance hall. The chandelier hangs 50 feet below the ceiling. Once retracted into the ceiling, it leaves the impression of a star lit night, as each rod has the ability to “twinkle.” The acrylic rods are illuminated by three primary color LEDs which allows the chandelier to be lit in virtually any color.